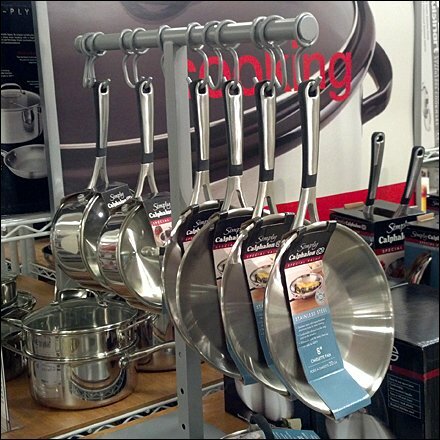 An open and airy yet in-your-face cookware display. And with grey (a neutral) ranked as the least visible color, even near-grey silver cookware stands out. 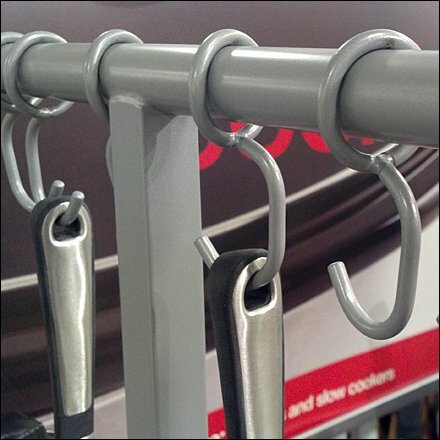 CLICK the thumbnail for a closer look at hanging hardware.